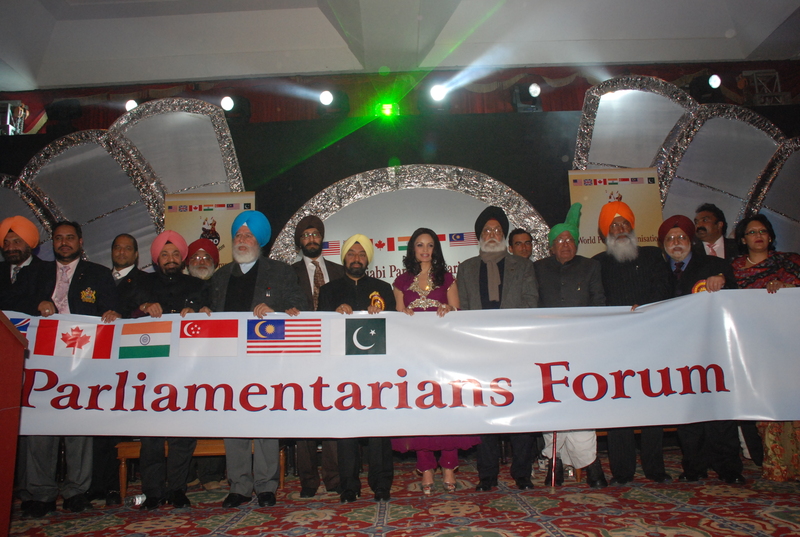 Dinner reception in honour of Dr. Iqbal Singh H.E. 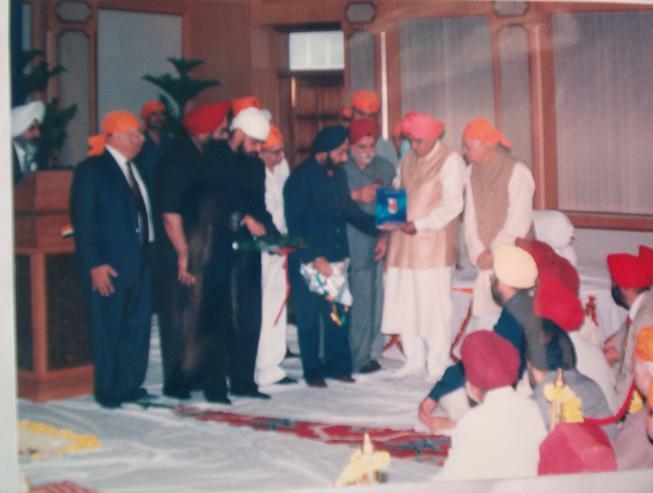 Governor of Puducherry at 26th November, Hotel Taj Palace, New Delhi. 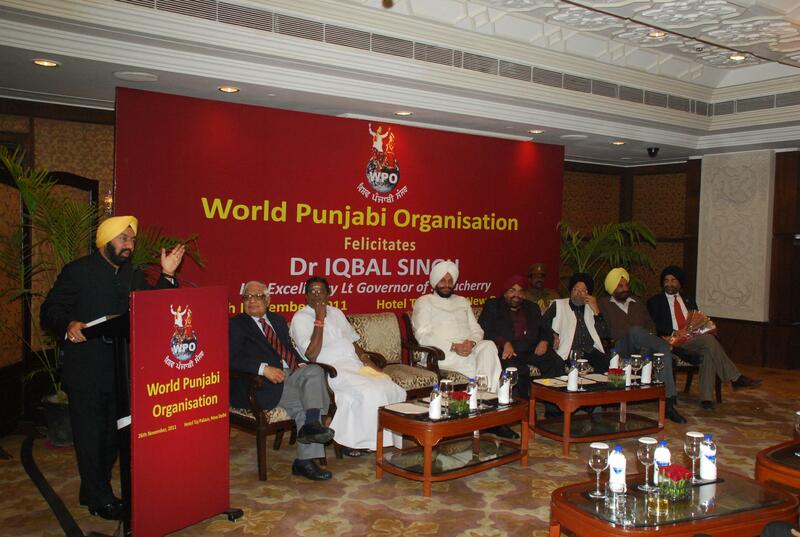 World Punjabi Organisation (WPO)hosted a dinner at Hotel Taj Palace, New Delhi, on November 26, 2011 in honour of Dr. Iqbal Singh, hon’ble Governor of Puducherry. 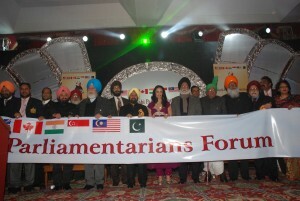 The Mumtaz Hall at the Taj was full of distinguished guests from all walks of life. 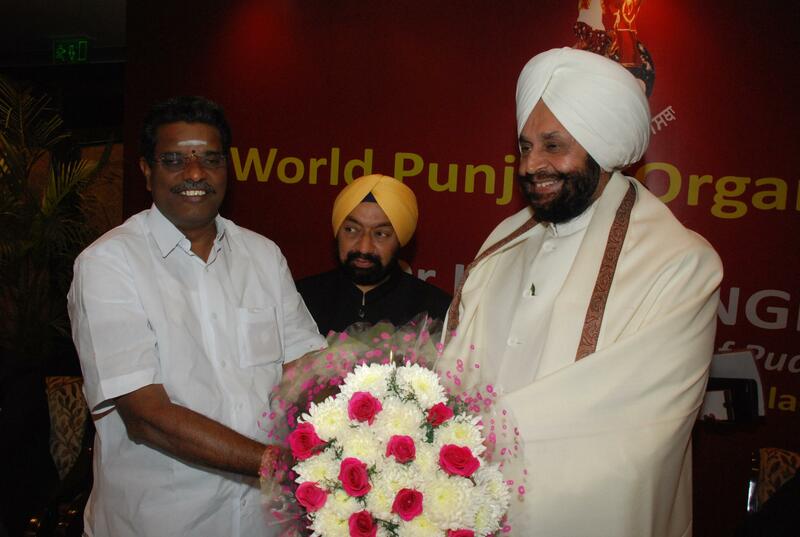 Mr. Rajan Vellu, Hon’ble Minister of Tourism, Puducherry was the Guest of Honour on the occasion. 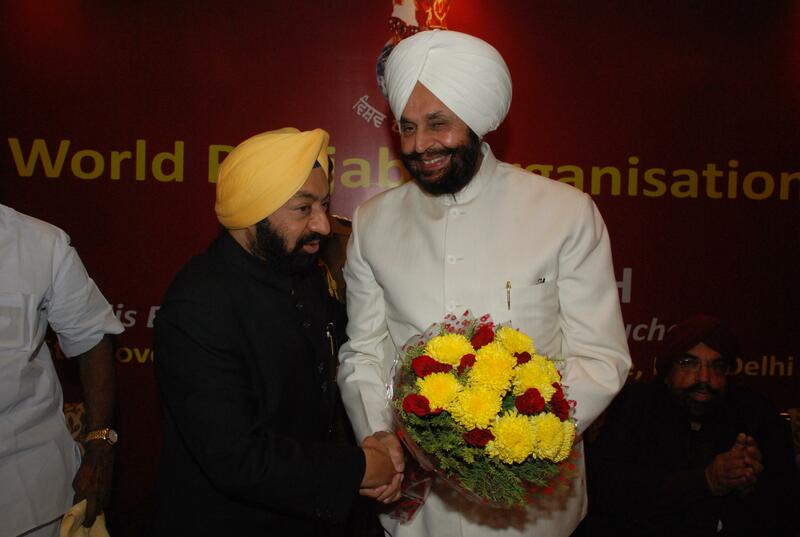 Mr. Tarlochan Singh, erstwhile Chairman, Minority Commission; Mr. H.K. 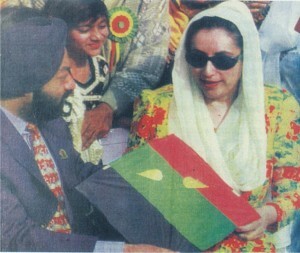 Dua, Member of Parliament & Sr. Journalist; Dr. S.P.S. Pruthi, former Vice Chancellor Maharashtra University; Mr. H.S. 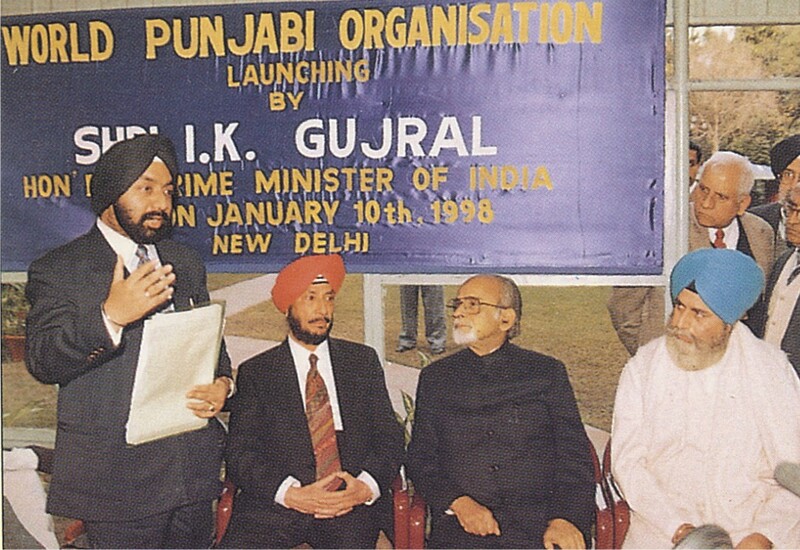 Phulka, Senior Lawyer; Mr. Kartar Singh, younger brother of late Jagjit Singh & Ms. Alka Lamba were among the guests on the occassion. 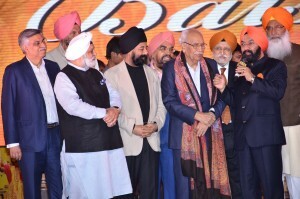 Addressing the august gathering, Padma Shri Vikramjit Sahney, founder and International President WPO commended Dr. Iqbal Singh and his family in his statement,“Inheriting the spirit of patriotism from his great family of freedom fighters, Dr. Iqbal Singh, has always endeavoured to work for the cause of National Integration. 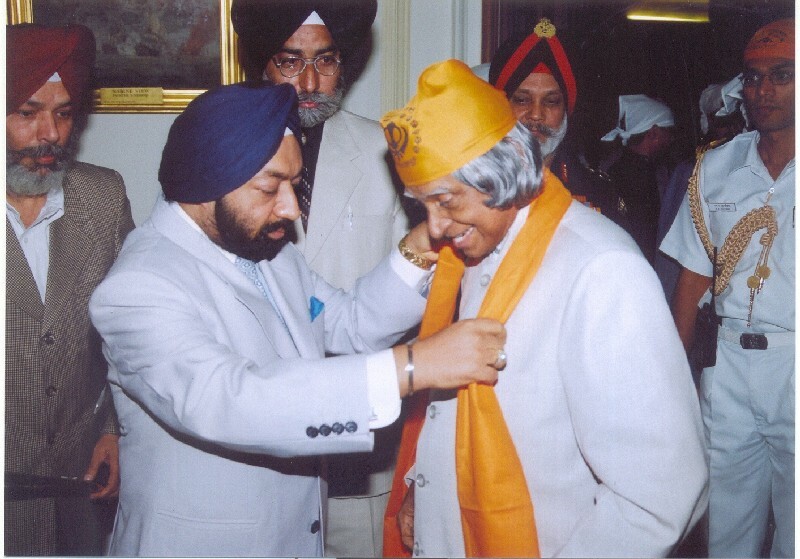 He is the voice of the downtrodden and a rare pride to our community” . 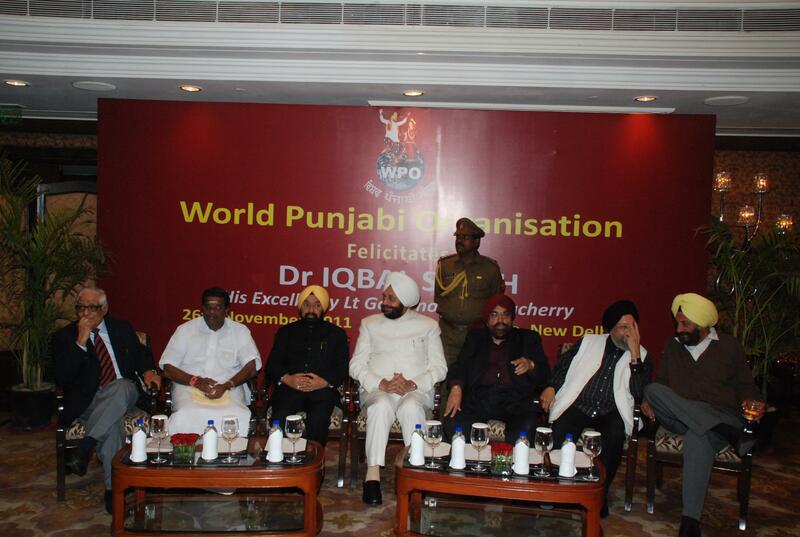 While accepting the felicitations, Dr. Iqbal Singh spoke highly of WPO who is making concerted efforts towards human values. 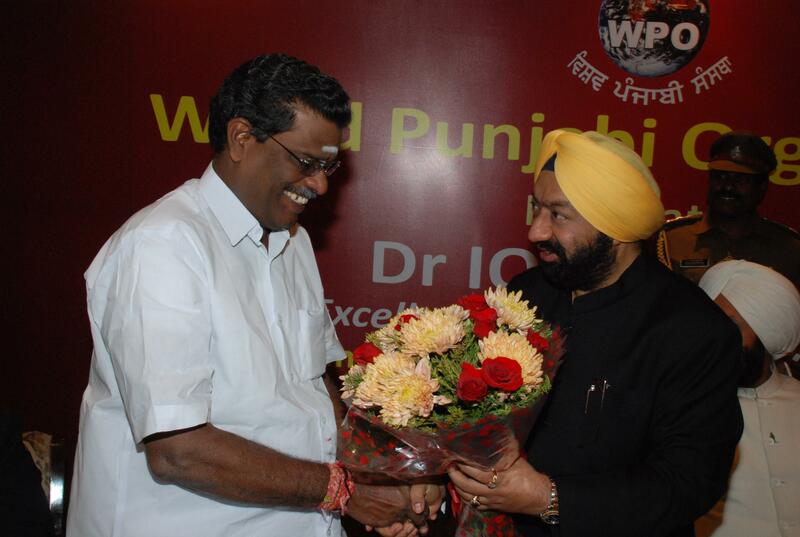 He applauded WPO reaching out to humanity that is beyond religion, caste and creed. On this occasion, welcoming Sr. Kartar Singh, WPO also paid rich tributes to late Jagjit Singh, the renowned ghazal maestro with a career of nearly four decades of entertaining connoisseurs of music with his velvet voice and who enjoyed devotion not only from his older fans but had also been an inspiration for the younger generation of Indians who need to stay connected with their culture and heritage. 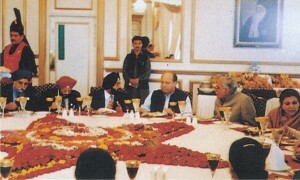 The guests enjoyed an elaborate spread of gourmet delight to their heart’s content. 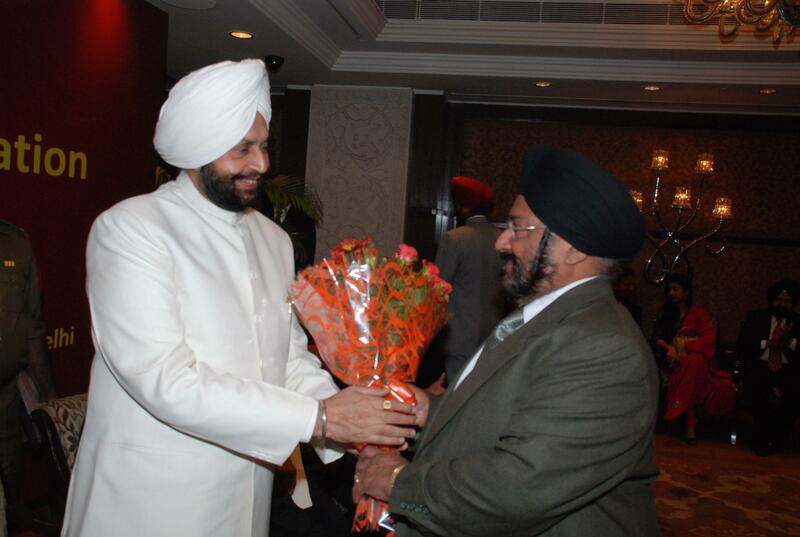 Sr. Vikramjit Singh Sahney, International President WPO felicitating Dr. Iqbal Singhr Hon’ble Governor of Puducherry with a bouquet. 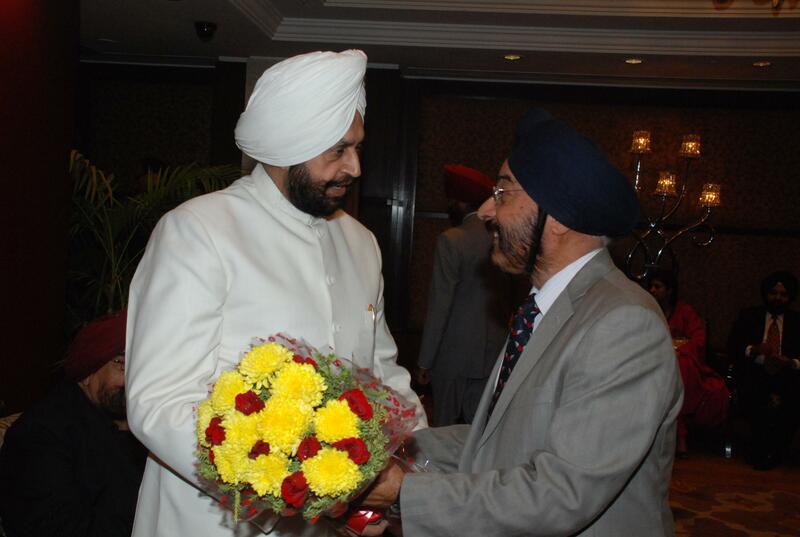 Mr. Rajan Vellu, Hon’ble Minister of Tourism, Puducherry being greeted by Sh. Vikram Sahney. Sh. 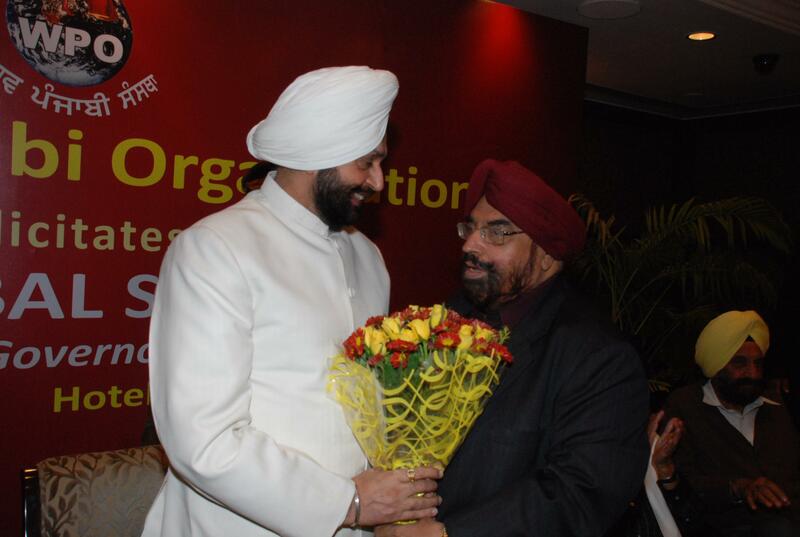 S.S. Sayal welcomes Dr. Iqbal Singh with a bouquet. Sh. 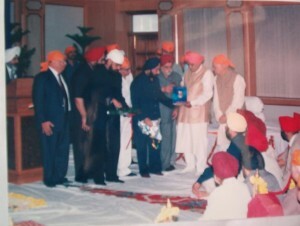 Vikramjit Singh Sahney addressing the elite gathering. 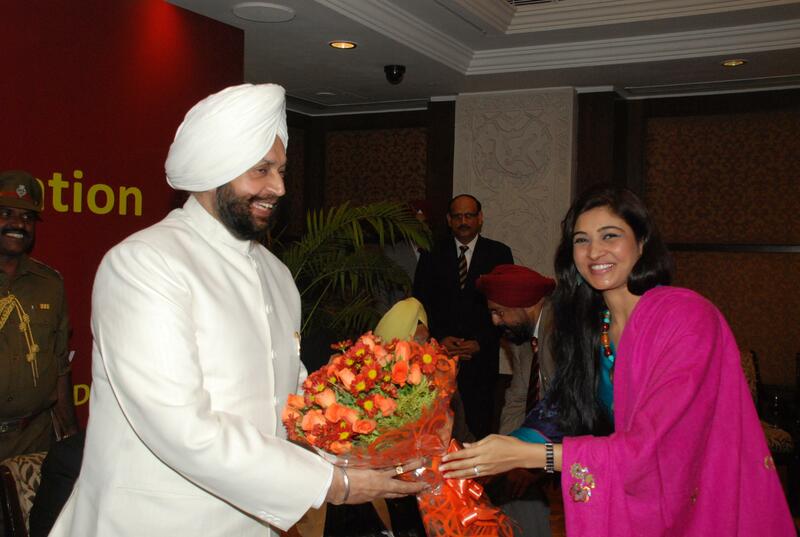 Dr. Iqbal Singh receiving bouquet from Ms. Alka Lamba. 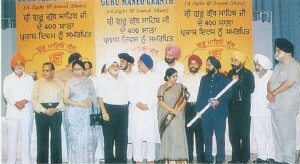 Dignitaries on stage (from L to R) Sh. HK Dua, Sh. Rajan Vellu, Sh. Vikramjit Sahney, Dr. Iqbal Singh, Sh. 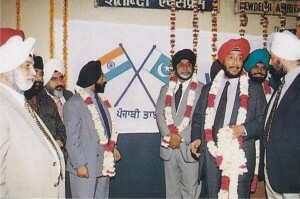 Balbir Singh Kakar, Dr. PS Pruthi & Sh. 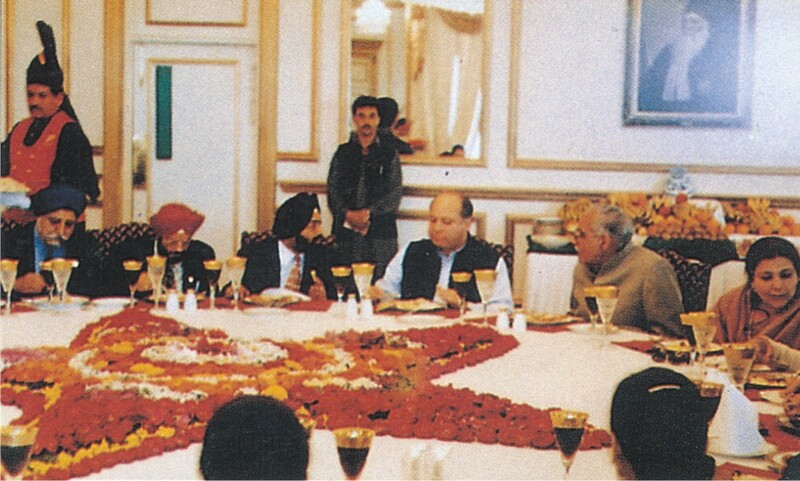 Tarlochan Singh. Sh. 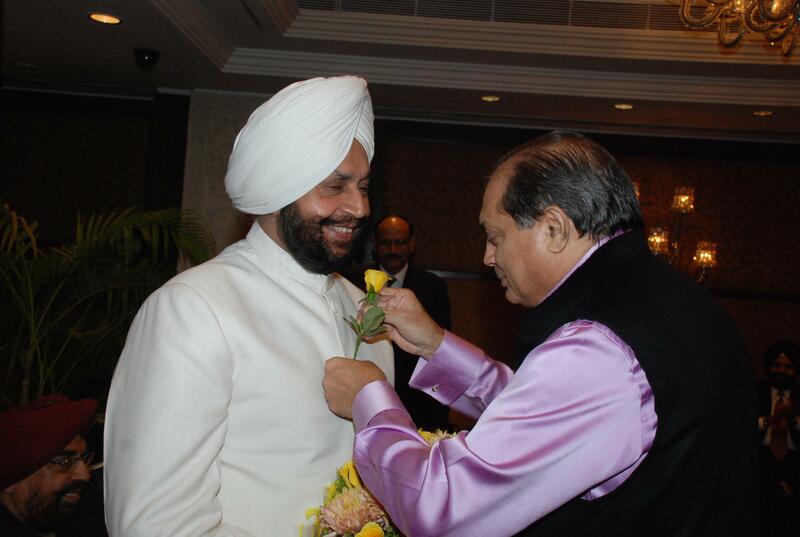 Ramesh Handa greeting Dr. Iqbal Singh by pinning a rose to his coat.